Gulf Coast Veterinary Specialists Star in New Series on Nat Geo Wild! 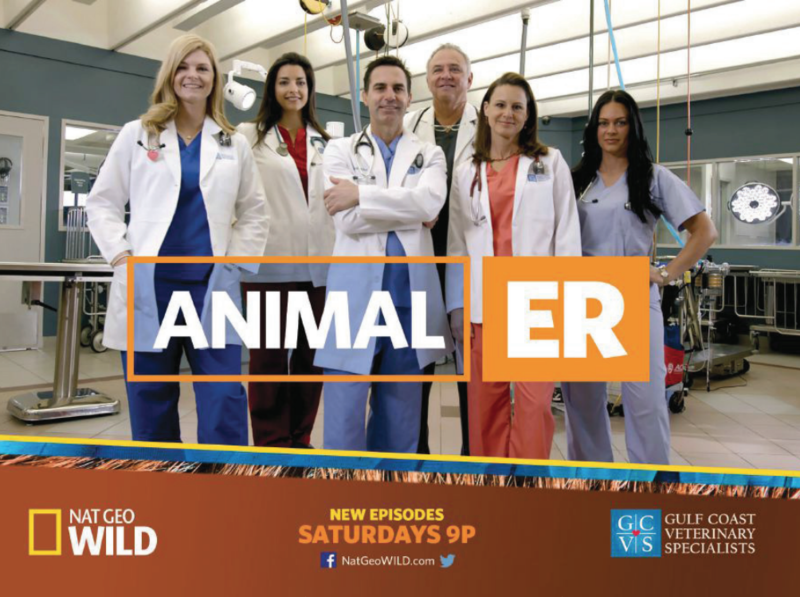 Gulf Coast Veterinary Specialists (GCVS) is the focus of Nat Geo WILD’s new series Animal ER that premiered Saturday, September 10 at 9pm and runs for six weeks. GCVS is often the last stop for pets whose care is beyond the capabilities of their primary care veterinarian. The series will follow along with patients as they are rushed into the hospital through diagnosis and treatment. We turned to Danielle Inman from the GCVS Avian & Exotics department for a behind the scenes look into the creation of the show. What was it like having a film crew follow you around for six weeks? It was actually really refreshing! The production crew was genuinely interested and emotionally invested in our cases. It was nice to have people with a wholly novel view and a clear respect for our passion and expertise see what goes on with patient care at a busy specialty hospital. The crew was also very cognizant of not being in the way or ever impeding patient care. How did the filming process affect the staff and clients? Initial client reactions seemed to run the gambit, but we did our best to notify clients that they may see cameras before coming in. I think that as a whole, sta) members are more proud than ever to be a part of the GCVS family and to share what they do on a daily basis with their families and pet owners around the country. What was your favorite part of the filming process? I really loved knowing that people would get a more intimate glimpse of the good we do and how much we all love our jobs and our patients. What did you learn about yourself / your job throughout this entire process? I learned that I am extremely confident in our medicine and the level of care and expertise that we are able to provide. Even under a veritable magnifying glass, we didn’t change the way we did things. What is one thing that you will not see in the show? Us in the bathroom (hopefully)! No, really, what people get in the show is an abbreviated version of all of the time and e)ort that goes into caring for each patient. There are staff members here 24/7 devoted to caring for our non-human family members. What is one thing you wish you could change about the show? I wish there were more episodes! There were so many other amazing cases and patients that they couldn’t possibly fit into six episodes. With that being said, will there be a season two? We certainly hope so! The show was only able to highlight a handful of our departments and cases, and we would love the opportunity to provide viewers with a behind the scenes look at more of this amazing practice. Tune in! 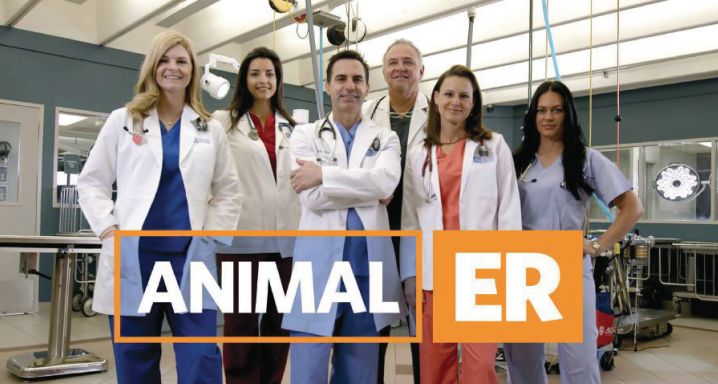 New episodes of Animal ER air Saturdays at 9PM on Nat Geo WILD.